Hello everyone! Dawn and I are back home from our travels in Norway, Dawn’s faderland. I took over 1000 photos, which means, after culling and editing, I’ll probably have ~30-40 worth sharing over the next few weeks. This shot of a small cottage will definitely be a favorite. 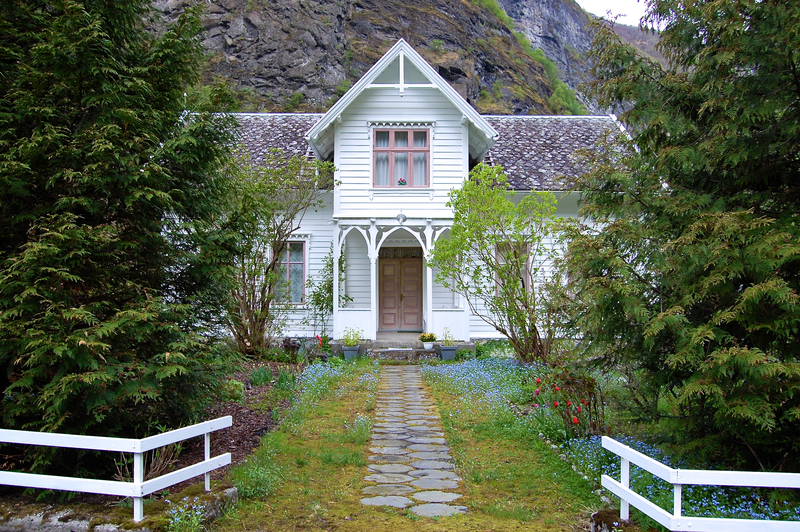 Dawn and I found it while taking an early morning 6km walk in the village of Lunden near the tip of the Aurlandsfjord. Click for a full-sized view to see the colors better. Wouldn’t you love to wake up to your morning coffee in this home just once in your life?